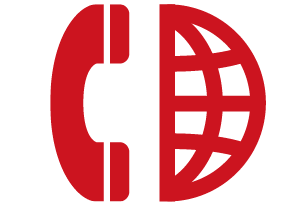 As VoIP becomes more popular in a business sense- mostly down to the excellent VOIP features available to you, the question of how it deals with dealing with calls abroad will come into focus for many people. To address this, it’s important to note than as there is no fixed landline, you won’t get charged in a traditional manner. For most services, international calling may cost an extra few pence, or in some cases, be included for free with your package. This means you can grow your business abroad at very little expense. All you need to do is hire someone based in the country that you’re looking to get a started in, set up a VoIP number to re-route to a select number-either their mobile or a selected office handset, and viola! You have a footprint in that country. People can make calls to your agent and your businesses has a direct number in which to be contacted by. There is no need to plan and spend money on new offices, outsourcing a team of new staff or even need you to visit the country you want to expand to. You can even do the job interviews themselves via VoIP phones. With HD video conferencing features readily available, you will be able to speak face-to-face with your prospective new employee as if they were actually in the room. You can also do this when they become fully-fledged members of your company and you’re having a few meetings. With just one member of staff and an internet-ready phone, you can set up your business abroad at very little cost. It’s never been easier to do and although they may never step foot in your head office, thanks to VoIP phones, they can feel as if they are 100% part of the team as it brings everyone closer together in a safe and cost-effective way. Take a look at our hosted VOIP plans and see how you can set up your business abroad for a small monthly fee!